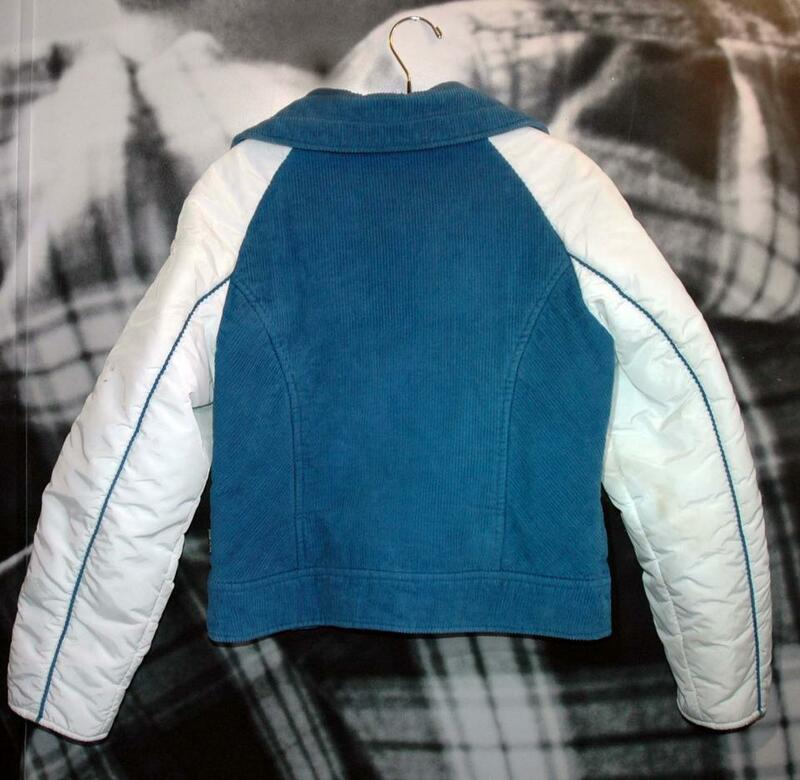 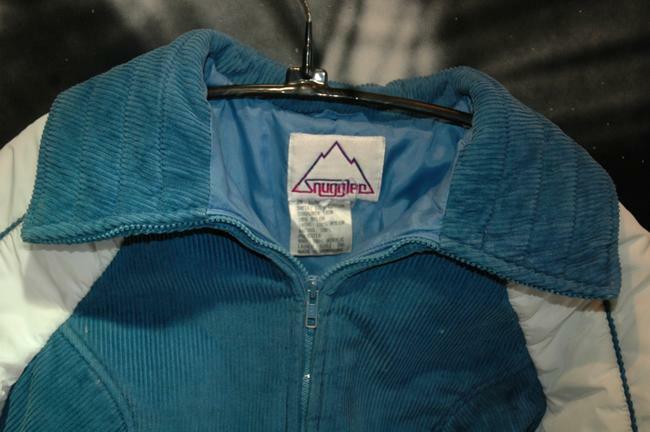 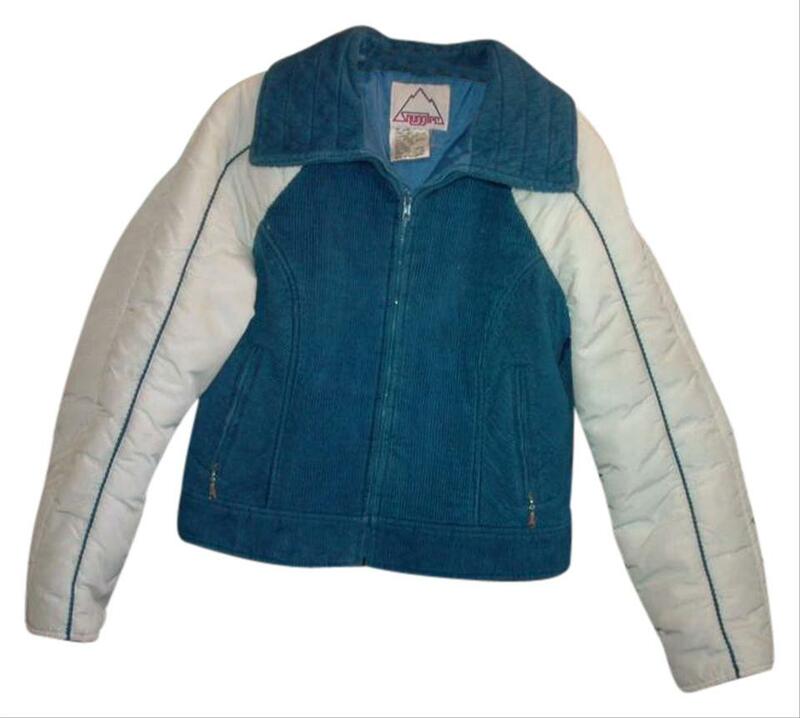 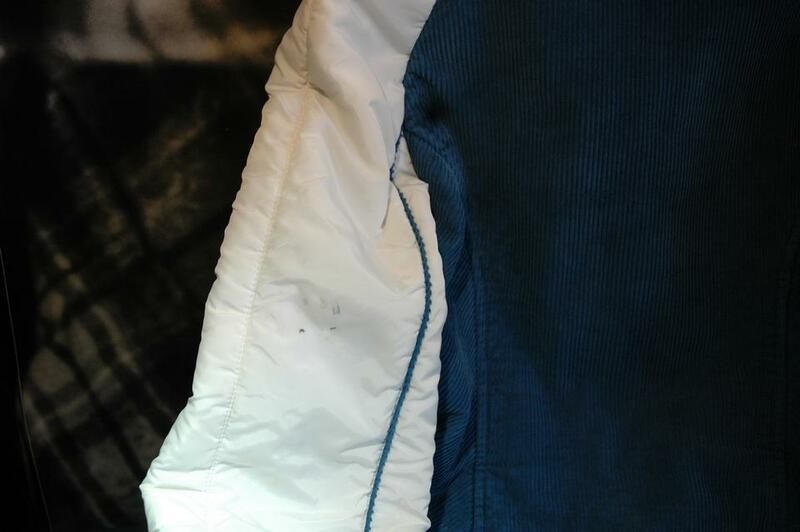 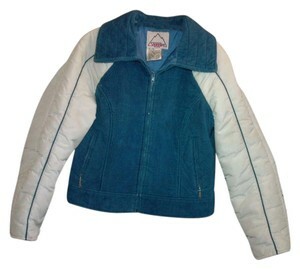 The jacket is blue corduroy with nylon white sleeves. 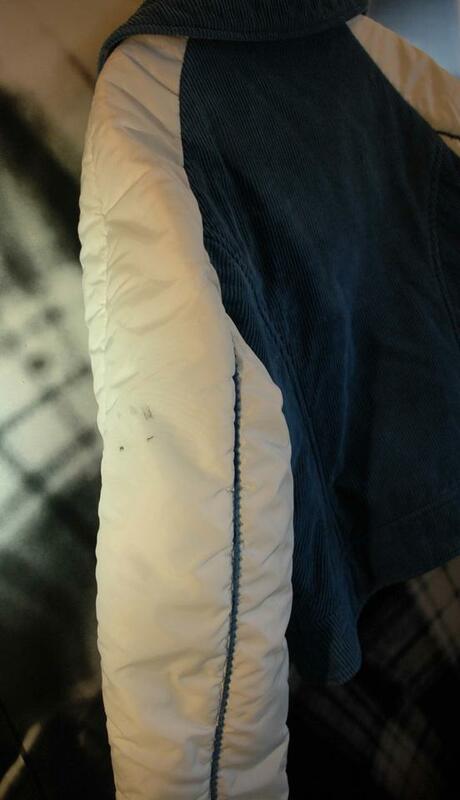 Lined and warm, zipper front and two zipper pockets. All zippers are fully functional. 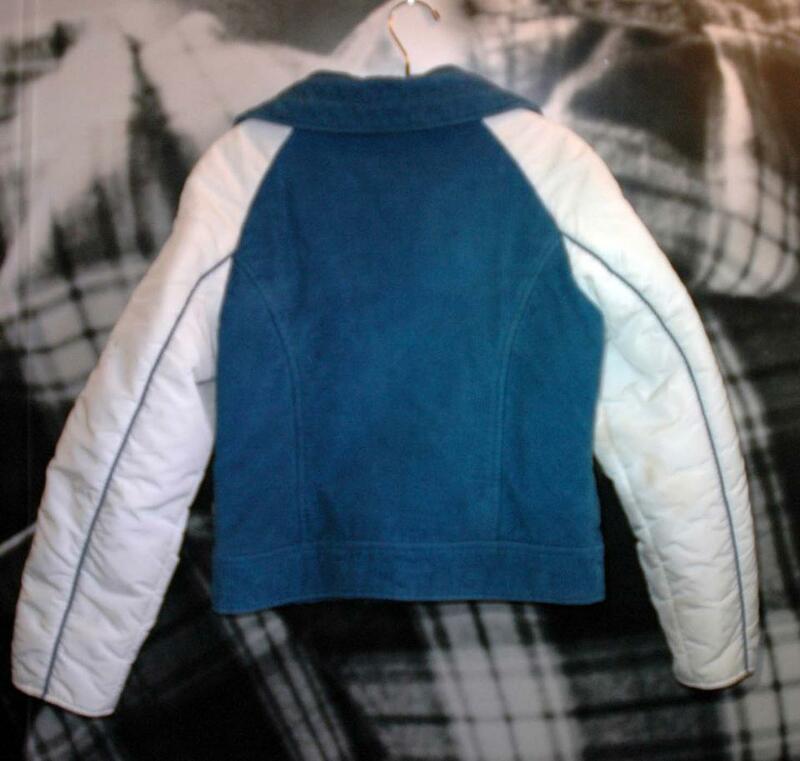 Measurements: Chest (armpit to armpit) 19.25", Body length (shoulder to bottom) 22", Arm length (shoulder to wrist) 28"